EVCMOBI, rewards all our customers for using our services. During the time of this offer “Offer period”, all customers have the ability to generate free credit on their EVCMOBI and make free calls using EVCMOBI OUT, through the EVCMOBI app. We reward you from day 1. Everyone that downloads EVCMOBI will receive Free Credit to test our great HD quality with every download. Happy with our service? Invite a friend. 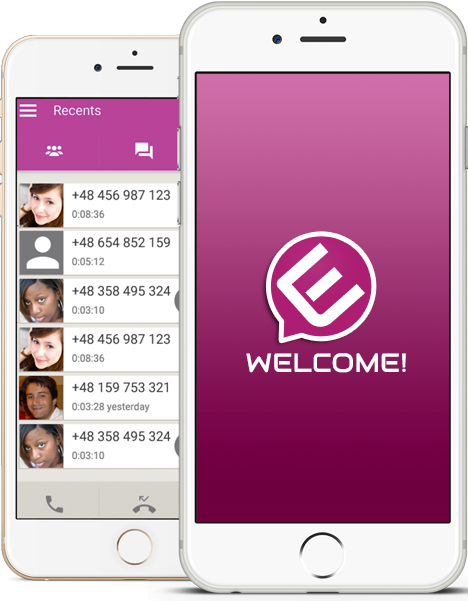 Existing EVCMOBI customers can invite friends to EVCMOBI from the INVITE section of the app. 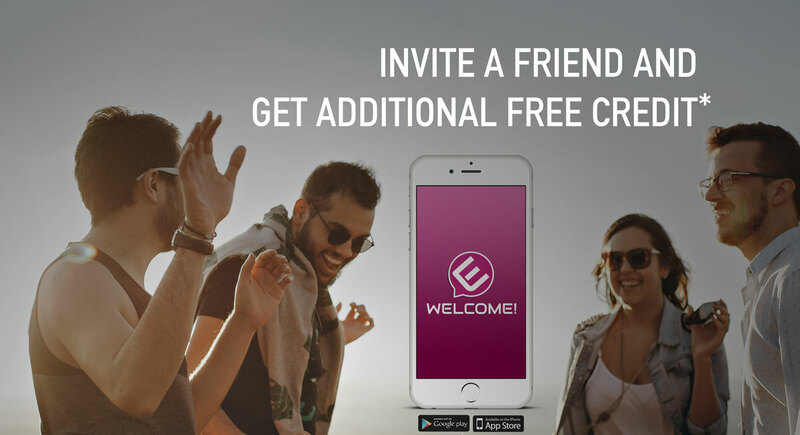 If the invited user , joins EVCMOBI through the referral’s invite link, both the invitee ( the EVCMOBI customer that sent the invite) and the new EVCMOBI user will receive Free credit to their EVCMOBI accounts. Send invites to friends to become EVCMOBI users and download the app. If the invited user creates a new EVCMOBI account and purchases EVCMOBI out credit, both the Invitee and the new EVCMOBI user will receive free credit for the download, +5% additional credit for the purchase. Get an additional +5% top up bonus on all payments (this bonus applies to all top ups, regardless or whether they toped up through an invite or not ). Eligible users: all EVCMOBI users. The rewards and bonus credits, are not transferable and cannot be redeemed for cash or other merchandise. EVCMOBI at its sole discretion, reserves the right to void any credit-based referral or invite, on the following: 1) we notice Fraudulent activity or activation, 2) if your invites are rejected or if you fail to comply to the referral program or violate our terms of service. EVCMOBI users must disclose that they are existing customers and agree to inform their invites that they will receive a rewards bonus if the new user downloads EVCMOBI or adds Credit to their EVCMOBI OUT. EVCMOBI reserves the right to Terminate and/or modify the referrals bonus offer at any time without prior notice.